Email is probably the oldest formal messaging systems in computing history. There were proto-email systems as far back as the 1960s. Today’s modern email has existed more or less unchanged since the 80s at least, with the publication of Simple Mail Transfer Protocol in 1981. Despite how fundamentally simple email is, it’s still part of the internet’s backbone. Each of us certainly receives tens if not hundreds of emails every day. There’s no question that email has evolved though. People laughed when services like Hotmail launched, but these days the default type of email is a web-based email like Gmail. 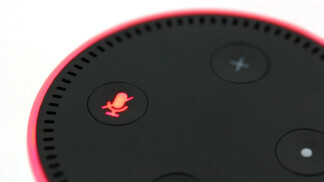 So now everyone can chat with everyone else! It’s wonderful, isn’t it? That is until you want to send someone a message without them knowing who you are. That’s where an anonymous email service comes into play. 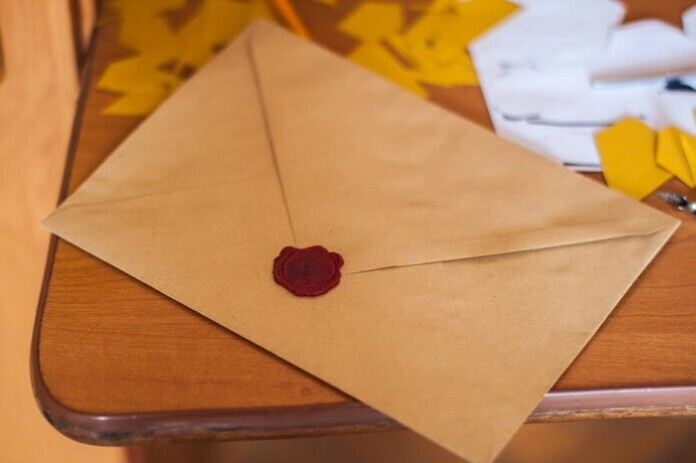 There are more than a few reasons to use an email service that can’t be traced back to you. In fact, I’m pretty sure that you’ll come up with a few of the comments that I just couldn’t think of. The first and possibly most obvious reason to send an anonymous email is to combat spam and tracking. Every time you give out your real email address you’re providing another opportunity for someone to hack that database or resell your information to marketers and other undesirables. Of course, lots of places who (pointlessly) ask for your email simply want to spam you anyway. So you can use an anonymous email service to sign up for stuff and then dump them when done. If you want to blow the whistle on someone, but don’t want the heat coming back to you, a good anonymous email provider could be just what you’re looking for. There are more mundane uses as well. If you want to tell someone something important, but don’t want them to know it’s coming from you, an anonymous email comes to the rescue again. Perhaps your friend’s spouse is cheating on them or you finally want to tell your boss that his breath smells. Why Not Just Use a Second Email Address? A fair question to ask is why you wouldn’t just use a second webmail address to act as a filter for the raucous web? The simple answer is that there would be no true anonymity. Remember, companies like Google and Yahoo gather a lot of information about you when you sign up and use their mail services. Even worse, they can easily link your “anonymous” second mailbox with the one you use to sign up for the stuff you really care about. Do you really think that Google doesn’t know you own both accounts? 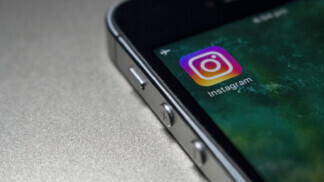 Unless you drive to another town and use separate computers to log into your multiple accounts, then at the very least the email providers can trace it back to you. 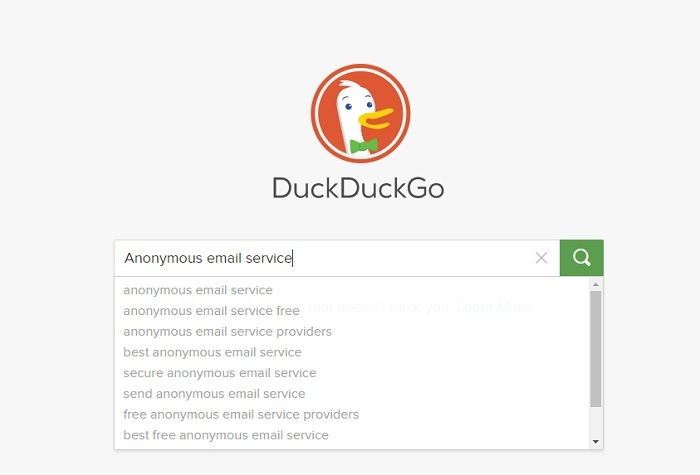 The obvious place to find an anonymous email service is by simply typing “anonymous email service” into Google or (perhaps more wisely) a non-tracking search engine such as DuckDuckGo. There you’ll find plenty of sites and services that would like your patronage. The service you pick will be determined by your use case, so go over the features on offer carefully to make sure it does what you need it to. Once you’ve found a service you like, you might have to sign up for it using your real email. If you ask me, that’s rather defeating the point, so if an anonymous email service asks for your real email account, just walk away from it. No, we want something that’s disposable. Of course, if you’re looking for a permanent mailbox that might mean writing your username and password down somewhere if you lose them there’s no recovery option. Here are some examples of popular anonymous email types and how the work. You’ll be taken to a mailbox that contains any emails sent to that Mailinator address. You can’t send anything with this type of anonymous email box, but you can sign up for things and activate them without compromising your real email. 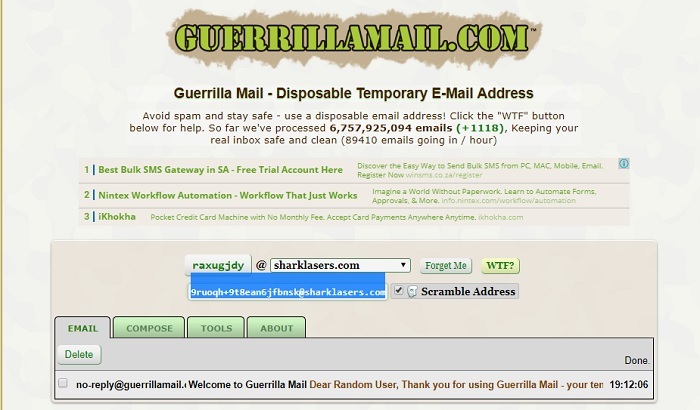 Guerrillamail also lets you get straight down to business on the home page, but here you can also send messages to people. In fact, you can also send attachments, although be careful that metadata in your attachment doesn’t give you away to the recipient. Apart from these useful public anonymous email services, you can also turn to Tor and Dark Web for some less savory but even more anonymous options. Most of us don’t need to go that far, but if you have a very high level of paranoia, but for some people it’s their comfort zone. Even when you send normal email, you should use protection. Using a VPN and making use of text and file encryption will go a long way to keeping your email content safe. Even if you don’t want the recipient to know who you are, you also don’t want third parties privy to the email. The most important lesson is to treat email with respect. No matter what, it’s still a fundamental internet technology we all rely on. Even in the face of evidence that it is not perfect.